Sitting on the edge of the Peak District Shrigley Hall Hotel is nestled within 262 acres of Cheshire countryside and provides a truly romantic setting to celebrate your special day. There are a number of beautiful function rooms and the hotel is licenced to hold civil ceremonies, so your whole day can be spent at this unique venue. 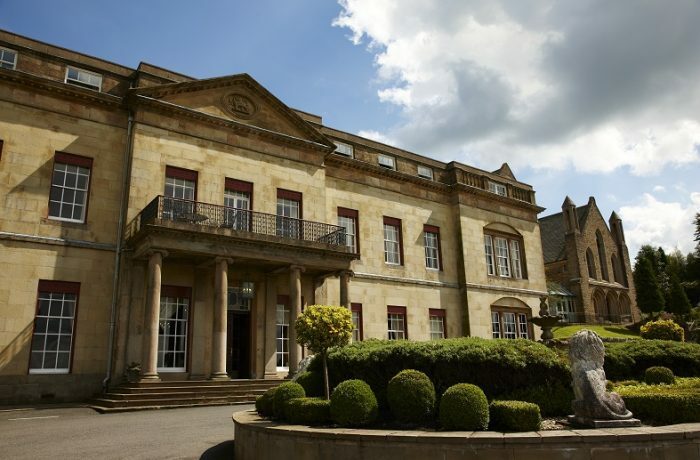 In addition to the breathtaking scenery and beautiful grounds surrounding the hotel, the inside continues to impress with its unique and original features including the ornate domed ceiling which frames the main staircase and converted chapel providing a beautiful function suite and swimming pool and spa. The wedding packages are designed to take a lot of the hard work out of making your dream day a reality. Pott Shrigley, Nr Macclesfield, Cheshire, SK10 5SB.